The links directory provides suggestions for a variety of websites to assist in your family history and genealogy research of the Washington D.C. - Washington City area. Catholic Cemeteries of the Archdiocese of Washington-See Genealogy/Research Request Form under "Resources for Families"
Grave Locations Of Restoration Movement Leaders In Washington D. C.
Central High School and Business High School Graduates, February 1914, Washington, D.C.
National University Class of 1939, Washington, D. C.
The German-American Heritage Society of Greater Washington, D.C. The City of Washington, D.C.
1874 Map of Dela., Md., Va., W. Va., D.C. 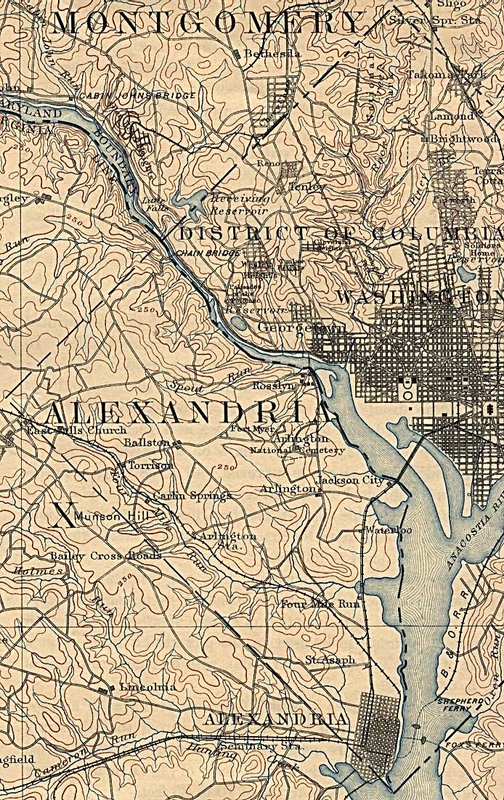 Historical Maps of Washington D.C. The national capital, Washington City, D.C.-1883? World War I: United States Army Personnel-reported July 3, 1916 in the Washington Post (Washington, D.C.
Civil War: U.S. Civil War Regimental Histories in the Library of Congress-District of Columbia, U.S.A.
Obituary index-Individuals born in Washington, D.C. Historic House Museums in West Virginia & Washington D.C. Biography of Hon. Edwin Willits, LL. D.
Biography of J. M. D. France, M.D. Biography of Jed Joseph Johnson, Jr. Biography of John Wilson Lauck, M.D. Biography of Cornelius Breckinridge Boyle, M.D. Biography of Rev. Jesse E. Moorland, D.D. Biography of Francis D. Young, M.D. Biography of Francis W. Blackford, Jr. Biography of George Thornton Wilmer, D.D.